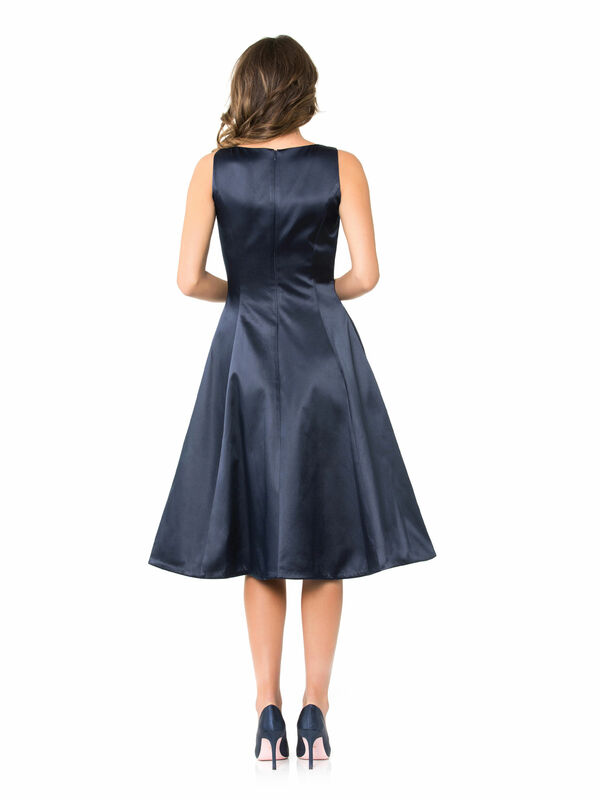 Atlantic Dress https://www.review-australia.com/global/atlantic-dress-navy/RE19DR057.RENVY001.html A satin ball gown that harkens back to old Hollywood sophistication. The Atlantic Dress makes a gloriously grand yet minimal style statement. 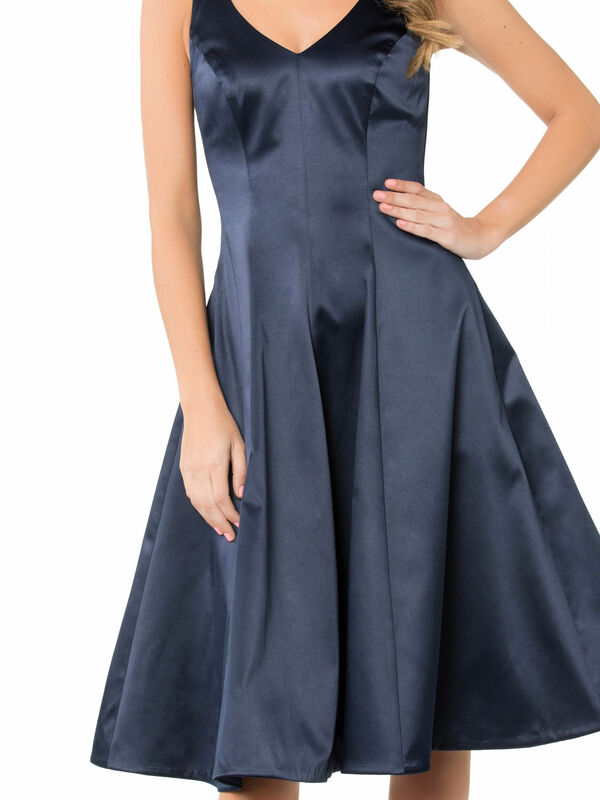 With pearlescent sheen throughout, the dress has elegantly sloping seam detailing providing a feminine fit and flare silhouette, extending to full skirt. It's fully lined and features a classic v-neckline. Sleeveless with clean lines and a dramatic full length hem, it brings timeless femininity to the fore.